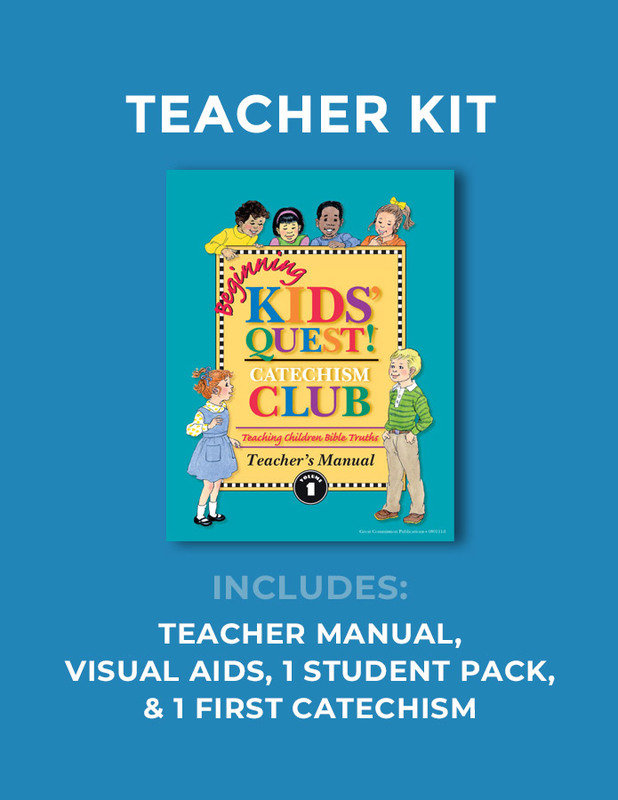 Includes 1 Teacher's Manual (100+ pages with 12 lessons and teacher devotionals covering questions 1–13 of First Catechism), visual aids, and 1 student pack. 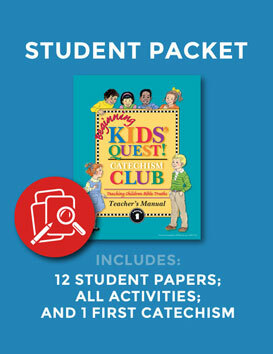 One First Catechism booklet is also included. *Note that the Songbook is now sold separately and not included in this kit. * Click here for an overview of the 12 lessons of Volume 1. Did you know your parents can get First Catechism on their phones, tablets, or laptops to quiz with their kids? 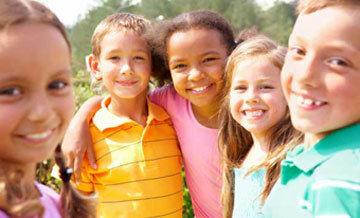 Check out the NEW First Catechism To Go here! 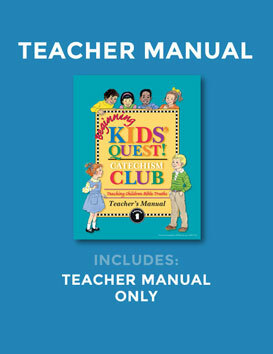 Play the video to learn more about Kids' Quest!